This topic has a focus on Knowledge and Understanding of the World. We will firstly focus on our home country of Wales. We will be looking at some of Wales’ main features and traditions during our ‘Welsh Culture Week’. We will then be using the stories of Barnaby Bear to explore a variety of countries from around the world whilst comparing the similarities and differences to Wales. We will investigate different traditions, climates and look at a variety of transport. 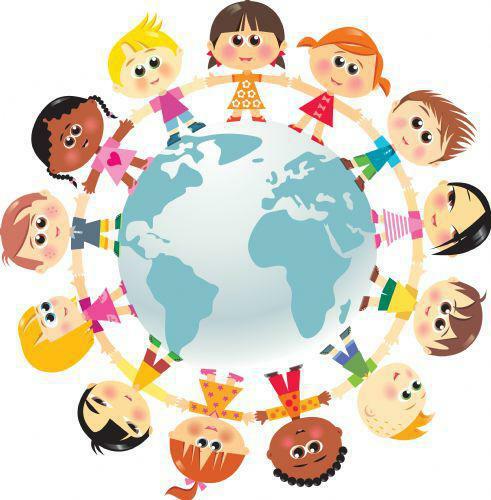 Through this project, children will develop an understanding and appreciation for other cultures as well as a sense of pride for their own. Welcome back to all our Reception children! We hope you had a lovely Easter break and are ready to work really hard in our Summer Term! Reception have had a brilliant and busy first week back. They have been using and applying estimating within their maths work and have been focusing on writing key word sentences in their language. The children have been making the most of the sunny weather and have had the opportunity to plant potatoes with Ms Campbell-Jones which they will eventually be able to harvest and eat for snack! The Reception class have had a lovely week celebrating Easter. They have been looking at different shapes, patterns and colours using Easter eggs to match and sort them. They have been researching Easter traditions and using this knowledge to draw and write about Easter. On Friday they had a very special visit from the Easter bunny who brought them chocolate eggs to take home in their Easter baskets! The Reception class have been working really hard all week exploring the indoor and outdoor areas searching for, reading and writing a variety of CVC words. They have also been busy preparing lots of craft items ready for Easter next week. The children have had a lovely week telling their friends all about the wonderful things their mummies do for them every day. To thank their mums they have been busy making beautiful Mother's Day Cards. They have also helped raise lots of money for Comic Relief this week by paying a donation to make their face funny. They all made a fantastic effort! Thank you to all who helped us raise money for this charity. 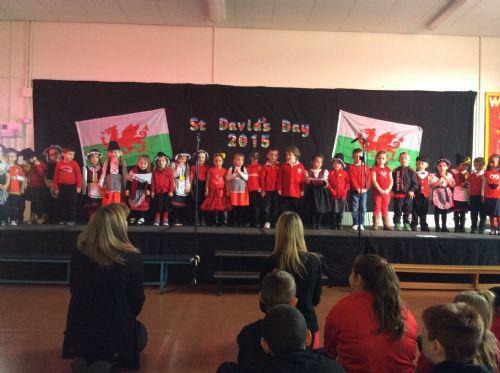 The children gave a beautiful performance of the Welsh song 'Dewch am dro i fferm tadcu' which they sang in front of the school during our St David's Day concert and again to the parents during the open afternoon on Tuesday. Thank you to all of you who attended! During the open afternoon Welsh cakes were served which the children had been busy making that morning! Look at the St David's Day folder below for more photos of both events. This week we have held a 'Welsh Culture Week' celebrating all things Welsh! The children have been busy creating observational drawings of daffodils, they have also been writing about Welsh flags and have made Welsh cawl which they ate for their snack. The children have had lots of fun and have learnt lots about their home country of Wales! The Reception children have been working really hard to learn the Welsh song of Old McDonald to sing at the St David's Day concert.